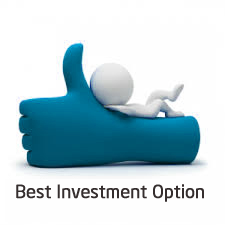 The average Indians always look for Best Investment Option, as they want to safeguard their hard earned money in a best possible way. Indians are traditionally conservative in nature and fixed deposit and gold is best investment option as per them. However truly speaking Equity, Mutual funds and real estate are best investment option in India. Given a choice out of Equity and Real estate where to invest your money? Let’s find out Equity or Real Estate which is Best Investment Option for Investment. Real Estate is often a more comfortable investment for many because they grew up exposed to it. Most people heard their parents talking about the importance of “owning home”. The result is that they are more open to buying land than other investments. There are several stories of flats/plots from the ‘50s which were bought for few thousand rupees being sold for a few crores today. That is the kind of stuff that keeps the legend of real estate investment alive and kicking. That’s one of the reasons for the Property Fairs coming up in the city. Compare to real estate equity is the avenue that scores much better than real estate and proves to be Best Investment option in India. Equity proves to be giving better return compare to real estate. One can invest in equity with the smaller amount also. The real estate market requires huge investment. Small investors are force to take up a loan for investing in a property. That becomes a lifelong commitment rather than a prudent investment. But in case of stock, whatever is the surplus that can be invested in stocks. With the advent of Land scams everywhere, it is better to invest in the regulated market. The equity market is a regulated market. SEBI regulates all the market participants and protects the investor interest. Another plus point about equity market is liquidity, in case you need money in emergency you can get money in three working days after selling your stocks, however in case of property you need to wait for property buyer who can pay you right price for your property. In the equity market price are transparent and visible on trading platform online. Stock prices are the same across locations. You receive confirmation and Contract Notes for the transactions. In real estate, the market price are determined by the seller. Equity investment are stored electronically in demat form; there are zero chances of fraud. Where as in real estate there are ample chances of forging your ownership documents. You can invest in equity with the click of a button with Online Trading. You can buy, sell monitor your investments from anywhere, anytime. The income arising from your investment in the stock market especially when it comes in the form of Dividend income is completely tax-free. There is no tax on the profit if the stocks are sold after a year from the date of purchase. In case of Real estate Investment, Rent received are taxable. The profit from the sale of the asset is taxed at 20% for long-term investments. Moreover, the period of computing Long-term capital gain for real estate investment is 36 months and for calculating the same Long-term gain period for the equity is just 12 months. Despite these facts, it cannot be denied that real estate is an important asset class. And there are situations when financial planner advice clients to invest in a property. For one, if the property is being bought for self-consumption, then there is no argument to that. Secondly, if you have a higher amount of money and is well invested in equity, bonds and gold etc then you can invest some amount in real estate. As per me, equity is Best Investment Option in India. Equity provides a large number of benefits as discussed above. Invest in equity based on your goal and requirements. Make sure that you select best stocks for investment. Stay invested for longer duration. Do you prefer Equity as Best Investment Option in India? Do share your views! Don’t forget to like us on Facebook! as per your experience in the field, please name some recommended stocks for high return in long/short durations? Dear Pinak, You should carry out your own research before investing in any stocks, however you can invest your money in Infosys,Maruti,Lupin,Reliance and TCS for long term 3-5 years. Dear Ravi, This depends upon which stock you invest and market ups and down.